A toiletry bag created with Fiorucci. Fiorucci brings its electric energy and carefree, joyful style to adidas Originals. 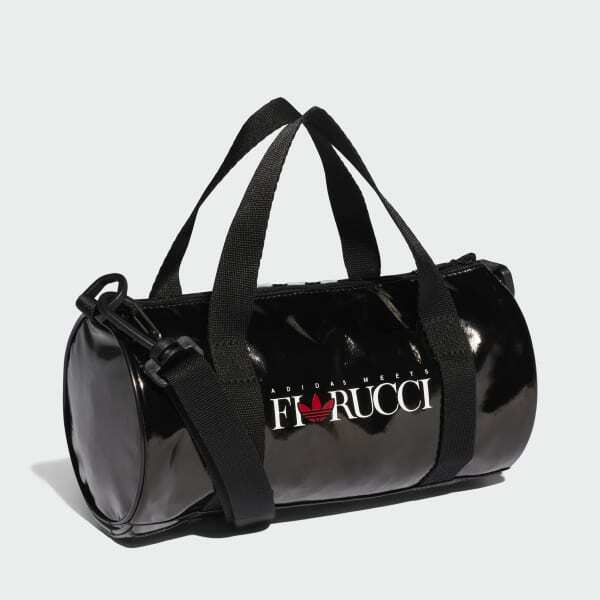 A collaboration with the endlessly creative fashion brand, this mini duffel bag is made of glossy TPU. 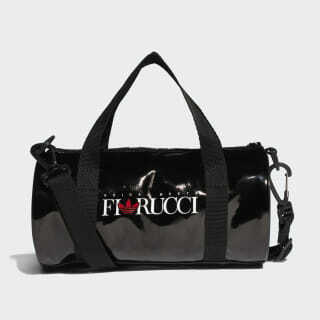 It's styled like a mini duffel bag, with webbing carry handles and an "adidas meets Fiorucci" graphic.